Bread has been part of humanity since time immemorial. 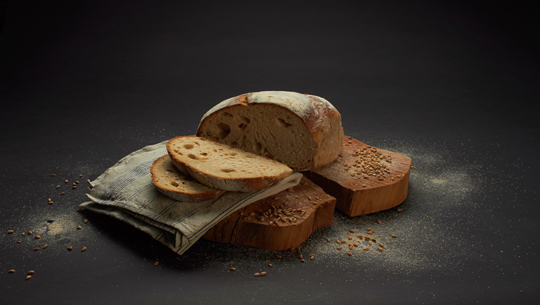 Whether baked at home or purchased, fresh bread is perfect for a meal. In order to be consumed, it is easier to slice the loaves before serving. Finding the right bread slicer for your kitchen can be challenging. Kitchen knives do a great job but when it comes to slicing bread, only the best slicers should be used. Some bread slicers do a shoddy job and spoil bread slices. Slices end up being jagged, unequal in size and out of proportion. Finding the best bread slicer is valuable and enables one to slice any loaf quickly and effectively. Furthermore, safety while working with loaf slicers and quality of one is a key consideration. Below are the best slicers in the market. This is a heavy duty bread slicer having a partition at the center which acts as a guide for the knife. Its rubber feet prevent it from slipping on the counter top. Has a partition for a knife and works with most knives including shorter ones. Its classy design will look good in any kitchen. It stores easily allowing items to be stacked on it. It slices loaves of all sizes and into desired thickness. It cannot work with electric knives. It has only one knife slot. It can only produce one slice at a time. This is a handy bread and bagel slicer which slices even fresh bread from the oven. It has a double serrated stainless steel blade for a smooth cut. It slices both bread and bagels. It slices bread perfectly without crushing it. It slices fresh bread from the oven. Has a stainless steel serrated blade. The slicer is only available for the right-handed. It can only be cleaned by hand washing. 3.Chef's Choice 609000 Electric Food Slicer. This is an electric bread slicer which is driven by a high torque motor. It is made of cast aluminum and its slicing blade made of stainless steel. It can be fitted with a serrated or non-serrated cutting disk. It can slice thin slices compared to other slicers. It is not easily washable. While dismantling, the sharp blade can easily lead to an injury. 4.Urban Trend Hometown Bagel Knife. It is a convenient tool for safely cutting bagels, croissants, and bread without crushing them. Constructed from a combination of steel, rubber, and plastic, this bagel slicer takes the frustration out of slicing bread. It has a protective blade cutter protecting fingers against cuts. It has a food-safe stainless steel blade. It can slice bagels, croissants, and bread. It features an ergonomic handle. The slicer's blade is irreplaceable. Turning the bagel or bread is required when cutting. It is difficult to slice wide bagels with this slicer. 5.Bagel Guillotine Slicer Stainless Steel Biter Kitchen Cutter Knife Home Bread. It is designed to be a superior bagel slicer right from its appearance. It offers the user optimum performance when slicing bagels. Bagel Guillotine Slicer features a high carbon stainless steel blade that is food safe. Its construction allows it to be durable. Its finger guard ensures safety while in operation. It has a stainless steel blade that is food safe. Does not make a smooth cut on soft bagels. It does not store easily. A bread slicer is essential in every kitchen. With the above guide, it is easier to choose the best for one's need.